This TED talk by Sir Ken Robinson is one of the most popular videos about creativity on the internet. In it, Robinson argues passionately that as children we are all naturally creative, yet by the time we reach adulthood, our creativity has been ‘educated out of us’ by the barriers of school, society and corporate business. The talk has evidently touched a chord – as well as being enthusiastically received at TED, the video has been been viewed, downloaded re-posted and discussed countless times. As a creativity writer and consultant, hardly a month goes by without someone asking me whether I’ve seen ‘the Ken Robinson video’. It’s not hard to see why Robinson’s video is so popular – he’s an engaging and very funny presenter, who somehow manages to be both down-to-earth and inspiring at the same time. And his message is immensely appealing. It presents a vision of humanity as inherently creative, with new ideas and possibilities bubbling up inside us, waiting to be used – if only we would stop blocking ourselves. Believing that everyone has the capacity to be just as creative as the next person is as ludicrous as believing that everyone has the capacity to be just as intelligent as the next person, yet it has become almost universally accepted as a truism. It’s also relatively new, taking root in only the last 30 or 40 years, coinciding much too precisely to be accidental with the popularisation of creativity as an essential ingredient of social and business success. Torr cites scientific studies that suggest creative people have different brain activity than others – specifically, lower levels of cortical arousal, which means their thinking is less inhibited and they are more likely to come up with ‘more absurd, dreamlike and just plain weird’ ideas than other people. Building on the work of Harvard Business School Professor Theresa Amabile, which demonstrates that creativity is strongly linked to intrinsic motivation, Torr argues that creative people are distinguished by ‘an all-consuming preoccupation’ with creative work, regardless of whether it brings them money or fame. We all recognise the classic description of the creative personality as childlike, impulsive, fantasy oriented, emotionally sensitive, anxious and ambitious. Torr cites several personality studies as evidence that ‘creative people conform almost perfectly to their popular stereotype’. They were shamans, priests, prophets, storytellers, poets, witches, troubadours, jesters, Giottos, da Vincis, romantics, lunatics, misfits, outsiders, strangers, village idiots, inventors, novelists, artists and, eventually, advertising people. They were vilified as often as they were revered, and reviled as much as they were respected. This view may not be universally popular, but it does fit pretty closely with the image of the stereotypical creative person: someone who is different, rebellious, individualistic and resistant to society’s attempts to shoehorn them into conformity. Are we all creative, or is there something inherently different and special about creative people? If you believe creatives are different – what are the differences? If you believe we all have the same creative potential – what are the implications for society? Education? Business? The arts? And for those who like to see themselves as special ‘creative people’? While the idea of us all being capable of bringing out our lost childhood creativity is charming, I just don’t see it as meaning everyone is born (roughly) equally creative. From early on in childhood you can see analytical, organized, follower characteristics showing up in kids – I’m no psychologist, I’m just going from personal observations. It’s not that maybe we all don’t have a little of it in us. I think we all have bits of all personality or character types in us, but creativity as a dominant factor, that’s not in everyone. I don’t believe it can be learned, released, reborn or instilled in everyone to the extent that it becomes creative genius. But I do believe it can be nurtured in everyone to everyone’s benefit, to the point that people could have a better understanding of and respect for those who are truly gifted in this way. I agree with Finola that creativity will exist within people to diffeent degrees, just like any other facet of someone’s personality. I think it’s easy to generalise and say that some people are creative and some aren’t but I think there’s a spectrum of aptitude. I don’t think you can flat out say that we all are, or are not creative because there are too many variables such as the initial level of creativity, the desire to nurture it and the methods chosen to nurture it. I think one misleading aspect of being creative is that whatever is created has to be “artsy fartsy” and I don’t believe that. Being creative is more than just creating images, it’s more about coming up with an idea and developing the idea – even if it’s seen as “wrong” in the eyes of the general society. Kids are the most imaginative and thought provoking creatures on earth and we as adults do our best to mold them into what we believe is right. I once read an article about marketing and how to market like a child. Take a look at a playground and how unafraid a child is to walk up to another child and say “Hi, my name is Alex. Wanna play?” Their fear is minimal at best and yet we as adults can easily screw that up because of what we were told as children. If we were to look at creativity as more than just the creation of images, I think this little world we live in would be better than we could even imagine. I think this is one of those nature or nurture questions. All of us have a seed of creativity inside us. It is a matter of how that seed is fostered that will determine the breadth of our creativity. For some, the creative seed is watered and fertilized enough for the tree to see fruition. For others it is left in dry soil to whither and die. Some people have seeds of such strength, they can survive an arid desert while others are week and even all the food and water can barely keep them from starving. I have not encountered many children that were not creative in some way. They are each unique in their creative expressions and outlets but they are all creative. As far as the “stereotypical” creative person; maybe they are stereotypically “different, rebellious, individualistic and resistant to society’s attempts to shoehorn them into conformity” because these are the ones who have refused to be trained out of their natural creativity. It seems to me that the difference then would be one of tenacity rather than one of creativity. They have tenaciously held on to that childlike creativity where the less tenacious have conformed. We all really can become creative. It’s just that some of us have to unbecome what we have become. Loose a lot of inhibitions and let go of a lot of bad memories. Being a reborn artist at age 58, I tend to dismiss the word “creative” as society labels it and I embrace the art of being free from society’s grasp. So free allows you to play, to be different because you are, to create things (and we all create) and not get stuck into what the world says “create is” None of society’s rules apply to creating and when you break that barrier you find the joy of exploring your creative self in whatever manner you want. There are no rules folks…..
Robinson’s premise regarding everyone’s creativity is not supported by our present understanding of neurology, but his point about the damage done to creativity by education should be considered. As someone who has built my life’s work on the idea that everyone is creative I have understandably strong feelings about this particular post. However, I think that there is a difference between what Gordon Torr is calling a “creative type” and the capacity to be creative. As I said , I believe that we are all creative. It’s actually pretty hardwired into us as human beings and is a HUGE part of what makes us human. I don’t care if someone grows up to be a bureaucrat. They still have the interest, ability and NEED to create. I am also defining creativity as something that is not strictly what is considered to be artistic like painting or writing. Someone can be creative with filing systems or cooking or computer code! And I think that people need to have places in their lives where they can exercise their creativity to feel as happy and fulfilled as possible. Everyone does NOT see the world in the same way, even engineers and accountants, and creativity is a way to express that unique view of things. However…… I do agree with Torr that there is something called a “creative type”, someone who makes creativity and self expression the center of their existence. And yes, we are as obsessed, weird, creatively consumed and not quite on the same planet as everyone else, as he describes. 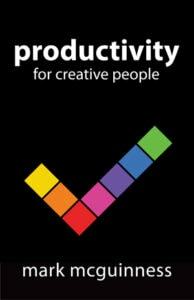 I think of creativity as a continuum and the creative types are just hanging out on the farther ends of the Bell Curve!! I think that everyone has the capacity to be creative if we define creativity as finding unusual solutions to tough problems. But the people that we dub as creative, are constantly creative. When we talk about creativity we don’t just mean people that carve ninja turtles out of wood, but something that goes over to just having a skill. Creative people are definitely different because their brains are hardwired in such a way that they never see the world as is. I’ve often wondered the same thing that he talks about. How do people find their talents, which is different than creative, although ? In some way it is about being typically creative, but mostly it’s about being able to make mistakes and learning from them rather than hiding and never learning. We learn so much to take tests but never about why we’re learning the subject in the first place. One of the most noteworthy observations Robinson makes is that for the most part, society as a whole has allowed business institutions and academics to be the final word in defining creativity and determining who among us should be classified as creatives, when in fact, the particular faculties and playing fields that delineate and/or encompass creativity and creatives are entirely subjective. Like Torr, I don’t believe we each have the exact same capacity for creativity. This simply isn’t possible in humans. Although we can have overlapping traits and experience similar levels of thinking, emotional and behavioral abilities and capacities, no two humans—even identical twins—experience “perfectly” identical thoughts, feelings and behaviors, or abilities and capacities. But to suggest we’re either born with or without creative capacity is ludicrous. Statements like this smack of nothing more than a form of–and opportunity for–self-serving, potentially discriminatory separatism. His ideas seem to promote long-standing, counter-productive rating, ranking and pigeonholing of people, albeit with a new spin and twist. The fact that Torr asserts he’s “swimming against the tide” with his viewpoint comes across as an “I’m so creative that I’m challenging the most rational and ultimately beneficial approach to creativity that would best serve ‘positive’ conscious human evolution and societal advancement” declaration. With regard to his referenced scientific findings, you can almost always find research or studies that appear to support your perspectives, especially when you’re consciously seeking them out. I wonder if Torr categorizes his children in this way. If that’s the case, I suspect he views them as creatives. Excellent, thought-provoking post and comments. I too, believe that everyone is creative. I was formulating a response when I read Chris Zydel’s and realized she’d said it perfectly! I love Ken Robinson’s talk. I’m one of the zillions who has linked to it—it is so inspired. Glad to see it referenced here. WD and Chris said much of what I’d want to, and I’ve said it here before: Yes. We are all creative. Is that the same as all being equally creative? No, no more than we’re all equally intelligent. Does it mean we are all able to become “creatives,” if only some switch is left on in childhood? No. But we do have an innate need to create something, in some realm, and we all do it. And many of us have had the pleasure of creativity wrung out of us from an early age. That is a crime. I believe everyone is creative, but some don’t have to try very hard to spot their own skill. An analogy is in order. If you buy a Saturn Ion, you then notice ALL Saturn Ions. People can train themselves to see their world creatively this way; some are born with the skill already fine tuned (no assembly required). If some of us were meant NOT to be creative, humans would have the ability to give birth to drone babies like bees that work and die and that’s it. I believe since every human is born with a unique fingerprint, they have the ability to be uniquely creative. Thanks everyone, great discussion as usual. I think a lot of people are slightly missing the point of Sir Ken’s talk – due to confusion over what constitutes a ‘creative’. Torr’s description of ‘creatives’ quoted above buys into the stereotypical artist/advertising creative cliche, however I believe Sir Ken’s idea of creativity comes from a different angle. This loss of passion is what makes people view ‘creativity’ as a mythical quality. I think there is no question that some people are hard-wired creative while others are hard-wired to be practical. But let’s just say everyone has this little spark and all we need to do is fan that flame. Is that such a good idea? Imagine a world dominated by “childlike, impulsive, fantasy oriented, emotionally sensitive, anxious and ambitious” people. If that’s too much, just imagine a home dominated by people like that. Might be great, but probably not highly functional. Bottom line, I think we are all creative to some degree. My father-in-law, who was a telephone line repairman his entire life, is incredibly creative when it came to finding solutions to problems in his work. Some call this resourceful. The comments have been just as good as the post. It really seems that people’s arguments are colored by their definition of creativity. I do agree with “the_infonaut” that the concepts of creativity in the TED speech and in the book are of two different flavors. They somewhat overlap in general subject matter, but little else. The passion that is beaten out of the populace through the education system is not the same creativity Torr discusses when saying these folks are wired differently. In the former, keeping that passion would result in society with more potential. In the latter, these folks continue their passion in spite of environmental influences. This is definitely a nature vs. nurture scenario, so the debate will be endless. Several people have made the very good point that whichever argument you find most persuasive depends on your definition of creativity. @Demian – so bearing that in mind, I would take issue with your distinction between ‘creative’ and ‘practical’ people. In my experience, people who achieve success in creative fields are highly practical, very good at either producing things themselves or making things happen through organising/influencing others. They may not look at the world the same way others do – but that only means they have to be more practically-oriented if they want to make things happen in spite of resistance/ridicule from others. Is everyone creative? Certainly everyone has some capacity for creating things, imagining new possibilities, and engaging in creative expression. But yes, certainly some people are more creative in general, and others are less creative in general, preferring to “tow the line” and follow orders. I do think that nearly everyone can personally benefit from being more creative at times, but I also think that not everyone’s creations are equally desirable and needed. I think the neurological perspective is an interesting one. However, it is important to realize that the existence of brain differences does not mean those differences are inborn. The pathways in a brain get strengthened by use, so over time brains become more different based on what they commonly do. It is quite possible that all children are creative, but that some of them find normalcy appealing and are more comfortable following the rules and being sculpted into society’s model citizens. This would be the process of schools destroying creativity. And perhaps there is some value to the process, for the stability of society and for the comfort of the people who prefer the comfort of normalcy. If you take that view, it seems to explain why those creative children who do not find society appealing and who cherish their creativity more than safety and comfort would, over time, develop different patterns of activation in their brains. I think the best way to study this would be via longitudinal studies of a cohort of children who would have regular fMRI studies done of their brains. Such studies could be correlated with other factors of those childrens’ lives and personalities as they grew up. They are sometimes swords that can cut for or against me! I think this is a semantic argument with an insidious political one behind it. Are we all capable of imaginative and innovative thinking? I believe so. Do rigid educational and work systems dampen such abilities (or even punish them at times)? Sure. I think many people on both sides of the argument could agree somewhat with those ideas. In my opinion the cultural thrust behind the “we-are-all-creative” meme is to domesticate creative activity. Very flattered to find myself sparring against Sir Ken, even if only vicariously. Definition & language etc aside, I suspect we’re pretty much in agreement on most issues. The difference is that he’s interested in how education knocks the creative stuffing out of people and I’m interested in what happens if it doesn’t. Barbara Saunders correctly identifies the “domestication” of creativity as a political issue standing in the way of our ability to draw the best out of those talents who find themselves on the wrong end of the status quo. @Breanna — “The pathways in a brain get strengthened by use, so over time brains become more different based on what they commonly do.” Which has positive implications for our capacity to learn new things, especially when we’re passionate about doing so. @Gordon — Thanks for stopping by and sharing your thoughts. I suspect we’re pretty much in agreement on most issues. The difference is that he’s in how education knocks the creative stuffing out of people and I’m interested in what happens if it doesn’t. Nicely put. I couldn’t resist using the two of you to set up the debate, as you both articulated your positions so clearly, but I agree there’s much common ground. Thanks for taking the virtual sparring match in good part. I do agree with Mr. Robinson that all of us have the potential to be creative. But we do vary in terms of level and the specific areas where each of us can fully exercise our creativity. However, I think that the kind of creative potential Mr.Torr is discussing is very different from the generalized creative potential Mr.Robinson was talking about. What Mr.Torr was referring to are the exceptionally creative ones, bordering on the gifted up to the genius level. These people have the kind of creativity so absorbing and different from the rest that it is already evident in their personalities. And they do not apply to artists or writers alone. Such personalities can even manifest among Mathematicians and Scientists, as proven by history. This kind of creativity enables them to see what others can’t and find possibilities when reason shows none present. And once this possibility is evident in their eyes, the drive to pursue it is so unrelenting that it consumes them, leaving them with no choice but to spend countless hours working or pursuing it until completion, to the extent that they no longer care about the why’s or what’s of the world outside their own minds. Hence others see them as “weirdos”. The creative juice that flows in them is so strong that when it manifests itself clear enough for them to comprehend it, they just dedicate their entirety to it, until this idea achieves a tangible form, visible not only to them but everyone else as well. It’s like riding a wild, beautiful stallion whose destination you could only sense, yet you are sure would turn out to be be the most splendidly beautiful place you’ve ever seen in your life. I may not be very knowledgeable about the varied spectrum of intelligence to which creativity can be discussed or even determined. But I know that this creative juice has a life of its own that defines more than half or even the entirety of the person possessing it, if he possesses the kind of creative level Mr. Torr is referring to. This must elucidate the fact why most creative thinkers are not so happy in their personal lives or spend the rest of their lives alone. It demands too much of them, that their creativity for them is both a blessing and a curse. Thanks Maris for your thoughtful contribution. I agree with just about everything you said, except maybe this bit: “most creative thinkers are not so happy in their personal lives or spend the rest of their lives alone”. I don’t think creativity necessarily involves having an unfulfilling personal life. I’ve met plenty of happy and fulfilled creative people, as well as unfulfilled and miserable ones. Torr is right, but that doesn’t mean Robinson is wrong. People in highly creative jobs, which is what Torr is sort of discussing, do fit a profile. They have nicer eyewear; they care about where a vase is placed in a room; or they are obsessed by scientific or design problems. But everyone is creative to some degree. This is Robinson’s point. We need to nurture or tap that a little more often. I used to facilitate dozens of workshops each year and I’d begin each one by pointing out that creativity is more widely distributed in organizations than power is, so we should listen respectfully to everyone’s ideas during the day. Business literature is full of anecdotes about factory workers or laborers who had a more creative, cost-effective solution to a problem than the guys in research and design could come up with. Our society is obsessed with ego and novelty, and often mistakes them for creativity. They are the opposite of intrinsic motivation.